The Maliotis Cultural Center was built and donated to Hellenic College Holy Cross in 1974 by the late Costas and Mary Maliotis. The two-level structure consists of a 346-seat auditorium, two 150-seat lecture areas, a 3,250-square-foot lobby/exhibit area, and administrative offices. The purpose of the Center is to showcase various aspects of modern Greek culture, to further the interest in and understanding of Hellenic studies, and to foster the growth and development of HCHC. 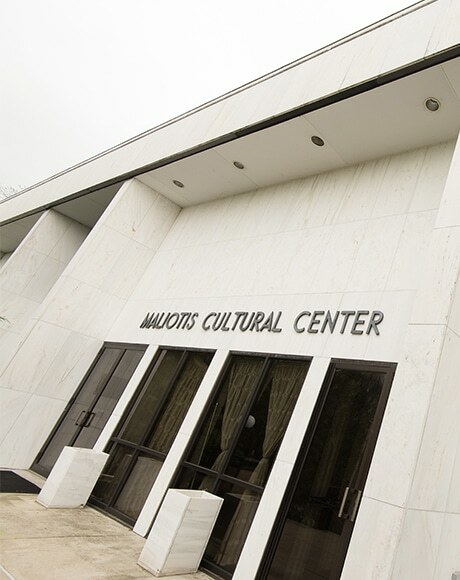 The Maliotis Cultural Center’s presence and role is crucial to the cultural life of the New England Hellenic-American community. 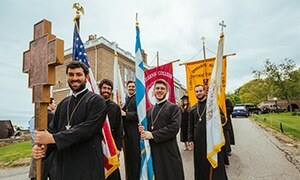 It is the only institution in the area with a mission dedicated to the understanding and display of Hellenism and with the resources to carry out that mission. As such, the Center fits seamlessly into Boston’s cultural and intellectual environment.